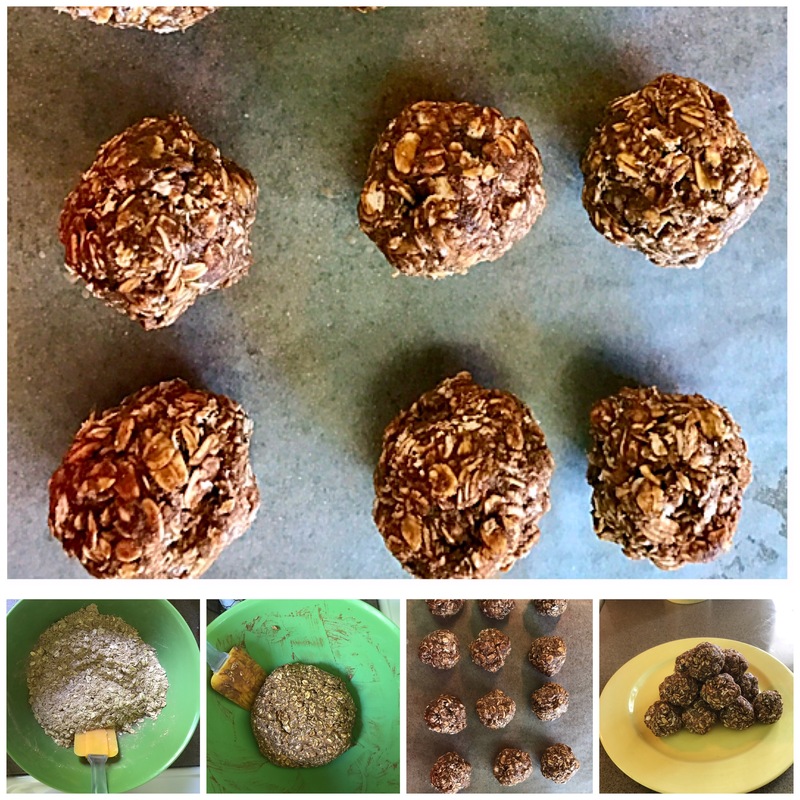 These Oatmeal Protein Bites, are perfect on the go snacks that are low-fat and packed with protein. Each Bite contains less than 2 grams of fat, 10 grams of carbohydrates, and more than 5 grams of protein. These are easy to make no hassle treats that everyone will enjoy. The ingredients for this recipe are very basic and directions are easy to follow. For this recipe, I use Organic PBfit – All-Natural Chocolate Peanut Butter Powder. I like to use this because it helps lower the amount of fat in these bites. 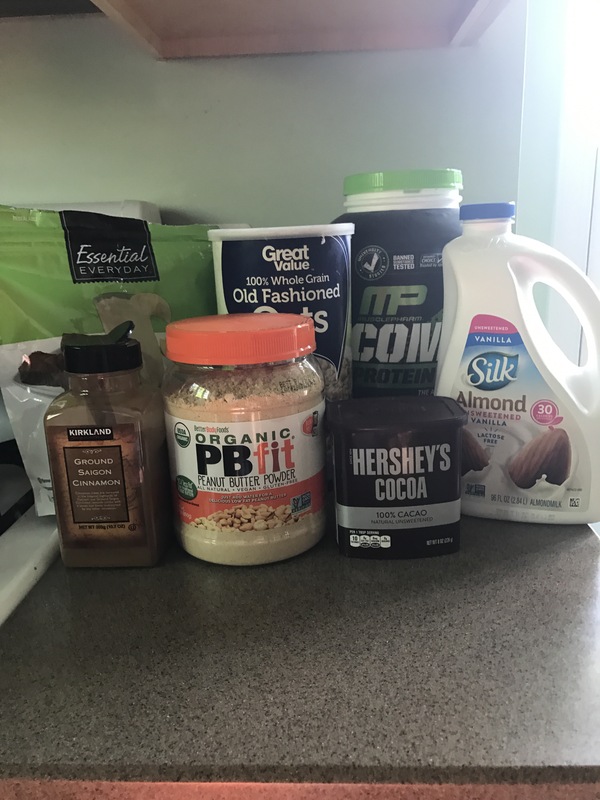 Other ingredients include Rolled Oats, Protein Powder, Unsweet Cocoa Powder, Cinnamon, Unsweetened Almond Milk, and Stevia. I like to use the Stevia to help add sweetness, but you can add honey or Agave Syrup to help sweeten the Bites. To make these Bites, simply mix all dry ingredients in a large bowl and mix them together. Then, add the Almond Milk and mix until you have a thick consistency. Set in the Refrigerator for at least 2 hours. This step is important to help soften the oatmeal. After 2 hours roll into 15 even sized bites, and you’re ready to enjoy. Place into a container to store in the refrigerator. Skin and cut potatoes into ¼ inch thick pieces and place into the boiling water until tender. In a bag mix Chicken Breast and McCormick’s Seasoning together. Place in on a cooking sheet in the oven for 20 minutes at 400 degrees. Slice pepper, carrots, and cucumbers, and place them in a bowl with the snow peas.